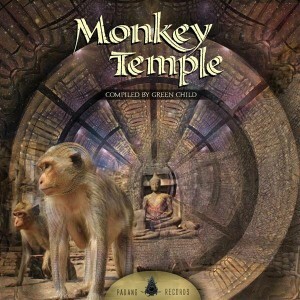 Monkey Temple, compiled by Green Child, is the third release from Padang Records, Brazil. Here the label brings you a collection of finely-crafted psychedelic techno, progressive, and minimal trance beats from all around the world. This release aims to bring freshness to the ears of the public by offering tunes that show differing approaches still united by a common thread. MP3 Download | FLAC Download | WAV Download · Download count: 9,461. Very Colorful ! RESPECT ! This is a mighty fine release!